VentureLab is Lund University's startup hub with the aim to stimulate entrepreneurship, and to support students and graduates who want to start their own businesses. Since its inception in 2001 by Allan Malm, a professor at the School of Economics, VentureLab has expanded and been embraced by LU Innovation, the university´s link between academia and business. With headquarters at the Innovation hub Ideon Agora, in Lund, our work also reaches students in Helsinborg. Today, we meet more than 5000 students each year on our inspirational activities, receive more than 200 student ideas through idea & business meetings and provide a "home" for 40 to 50 companies each year in our incubator. VentureLab by Lund University is one of LU Innovation initiatives available to students. The other, LEAPFROGS is a summer grant to help you test your idea. VentureLab actively works to get more students who identify themselves as women to believe in their ideas. 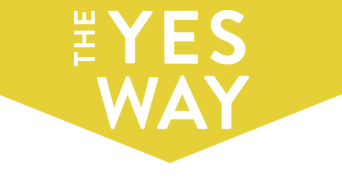 Therefore, VentureLab is part of The Yes Way - a project financed by Vinnova with the aim of increasing the inflow of female entrepreneurs within the incubator system. The goal is to increase the proportion of successful female entrepreneurs by finding reasons and suggesting methods for a more equal incubator system. VentureLab is part of the Nordic Entrepreneurship Hubs project which means we cooperate with actors in the Öresund region to bring the best opportunities to becoming entrepreneurs through our partner services. You as a student can reach facilities and workshops at VentureLab, Lund university and two Danish Universities, Danmarks Tekniska Universitet (DTU) and Københavns Erhvervsakademi (KEA), go to their events and use their services to help with your project, financed by the Nordic Entrepreneurship Hubs project. Read more about the facilities, services and events below. If you find the services you are interested in, book a visit latest one week in advance through us at VentureLab. We will also be able to help you with financing your trip to our partner universities! Many events at LU, DTU and KEA are open to attend for anyone interested in entrepreneurship or already working on a project. Check out our Facebook event page to see what events are coming up in Lund and Helsingborg. If you want to see events in Denmark, check out DTU's calendar or contact KEA. VentureLab can also help you with financing your journey to these events so what is stopping you?